High fructose corn syrup (HFCS) is a liquid blend of both glucose and fructose, where both molecules float in solution (as monosaccharides or lone sugar molecules) rather than being bound to each other. It is commonly used in food products due to being cheap to produce and having a slightly sweeter perception than a similar dose of sucrose. The fructose content, which generates most of the sweetness, varies between 42-55% in liquid solutions (with a more rare form of HFCS used in hard candies being up to 90% fructose). 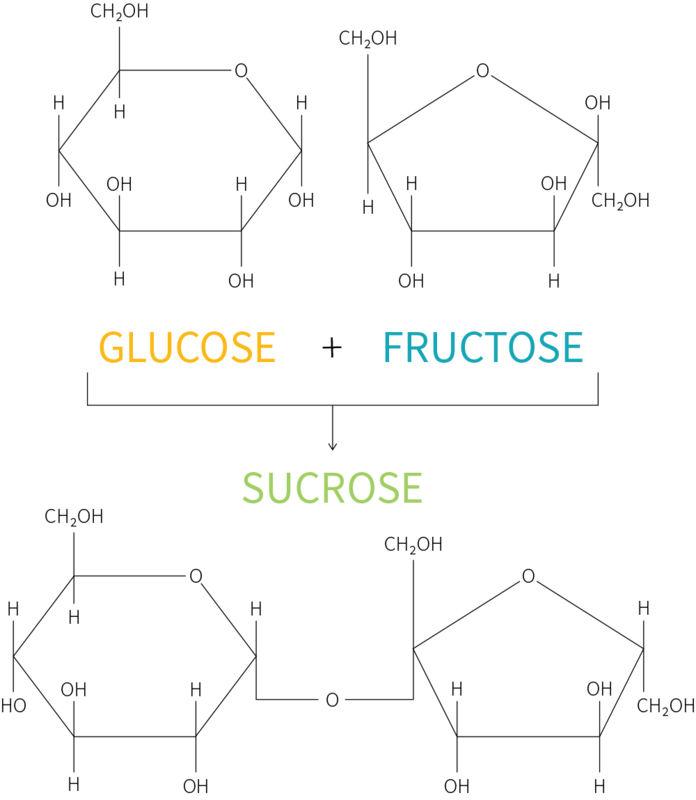 Sucrose is known as a disaccharide (two sugar) of glucose and fructose, it is essentially glucose connected to fructose in a 1:1 ratio. Because of this ratio, sucrose can be seen as 50% glucose and 50% fructose. Due to the presence of the sucrase (invertase) enzyme in the intestines, sucrose is broken apart into free glucose and fructose prior to intestinal absorption; this results in both glucose and fructose being detectable in the blood after sucrose ingestion, and no differences between sugars aside from the relative amounts of fructose (which are minor). Structurally speaking, table sugar (sucrose) and HFCS are very similar and confer both of the same sugars in somewhat similar ratios. The difference between sucrose and the higher end of HFCS fructose content (55%) is practically insignificant with moderate or moderately high consumption. Assuming a worst case scenario, HFCS can be 55% fructose; for 100g (400kcal) of ingested sugar this would confer an extra 5g of fructose relative to the same amount of calories from sucrose. It appears that in practical situations the extra fructose load is too insignificant to be practically relevant, and overconsumption of HFCS to a degree where the fructose may be practicall relevant is associated with overconsumption of sugar in general. A 'cannot see the forest for the trees' phenomena exists when looking at the possible influence of the already small fructose difference, as ingesting enough HFCS to make a practical difference results in sugar overconsumption and sugar overconsumption per se would be obesogenic. Both sugar and HFCS have been found to have the same effect on satiety and leptin, a major regulator of the feeling of fullness. This is due to the interactions with satiety differing between glucose and fructose (the two monosaccharides that make up both sucrose and HFCS) but sucrose and HFCS have similar ratios of the two and an approximately equal fructose load exists. In at least one double blinded intervention, four groups of persons all subject to a caloric deficit (500kcal deficit) had equal rates of weight loss despite up to 10% and 20% of total calories coming from HFCS (two groups, one at each percentage level) and sucrose (same). These levels were chosen to mimic the 25th and 50th percentile of average American intake, respectively. Although fructose and glucose have varying effects on appetite regulation, the difference between sucrose and HFCS is minimal to the point of nonexistent due to them both having similar fructose and glucose concentrations. 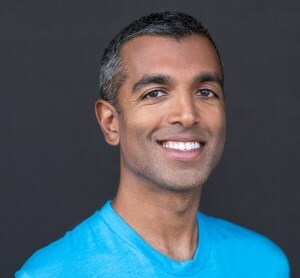 The metabolic response by the body, in reference to mostly leptin and insulin, appears to be the same between sucrose and HFCS when both sugars are given in similar oral doses with no gender influence as the lack of difference has been noted in both healthy males and females. Currently, it has been concluded (expert panel) that HFCS and sucrose do not have different influences on body composition and obesity (both being of comparable innocence or blame, depending on context). Independent of whether or not sugar in general influences obesity and weight gain, sucrose and HFCS have no significant differences in their effects on the body. At the time of this FAQ entry, only one study in existence has found a difference between dietary HFCS and sucrose in an in vivo model. One could take two approaches to debunking this study; either take the high-ground and mention that since the definition of 'statistical significance' relies on the fact that a study's results are 95% chance due to the variable in question and 5% due to chance indicates that there will be some studies that show false results, due to chance (in this situation, one should refer to the entire body of literature to see what the consensus is). The low road could also be taken, and attack the study design using the terms 'mockery of science'. In experiment 1, groups fed HFCS for 12 hours were heavier than those fed Sucrose for 12 hours. This is the comparison from which the conclusions were drawn, with no regard to the 24 hour HFCS group that was thinner than the 12 hour sucrose group. Experiment 2 shows contradictory results to experiment 1, and experiment 3 replicates the two 12 hour groups and shows much lesser difference, with a change in which group is heavier (with sucrose causing more obesity than HFCS). In no experiment were calories controlled. At this point in time, only one other non-epidemiological study has found differences with high-fructose corn syrup and creatine in regards to serum levels of fructose; however, the HFCS group appear to ingest more overall fructose prior to the experiment. Currently, the most well cited and only evidence in a living system to find worse effects of HFCS relative to sucrose appears to be a poorly conducted study with contradictory results; it appears to be overblown by media interpretation. Nowhere should it be taken away that HFCS is blameless in adult obesity. It does cause obesity when overconsumed and is constantly correlated with increases in obesity although the degree of which it contributes is debated. What should be taken away is that the issue of sucrose versus HFCS is one where we are trying to find the lesser of two evils, and both seem to be about the same. Additional calories in the form of sugars do tend to increase the risk of obesity when not controlled for, but beyond this the only differences lie in fructose content. Since sucrose and HFCS are very similar in regards to how much fructose they contribute, they are essentially equivalent. ^ Sugars and satiety: does the type of sweetener make a difference?